2. Select time period and country. 3. Track app position among all free apps () and in particular category ( for Prisma). 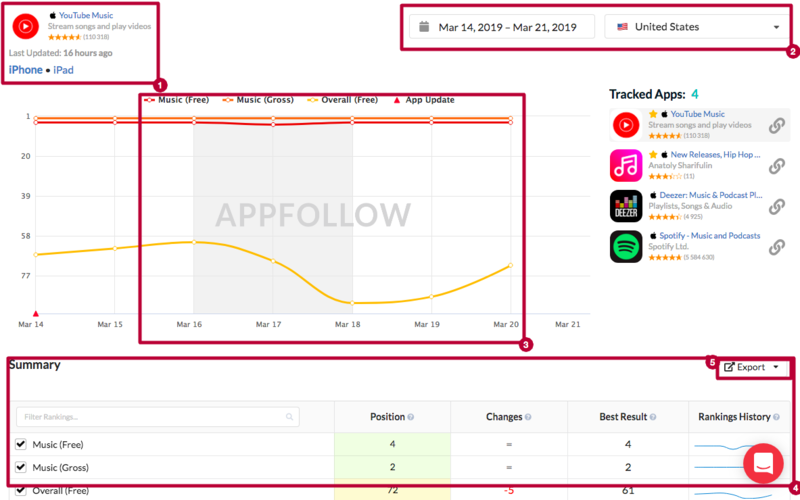 In the chart above you can notice that Prisma kept #1 positions in category during last 6 days, however the app went significantly down in . 4. Check exact position numbers in the table under the chart. 5. Export data in Excel or CSV to have a closer look. Depending on your settings AppFollow sends you Ranks Report daily or weekly. It helps you keep track of all changes and adjust accordingly. 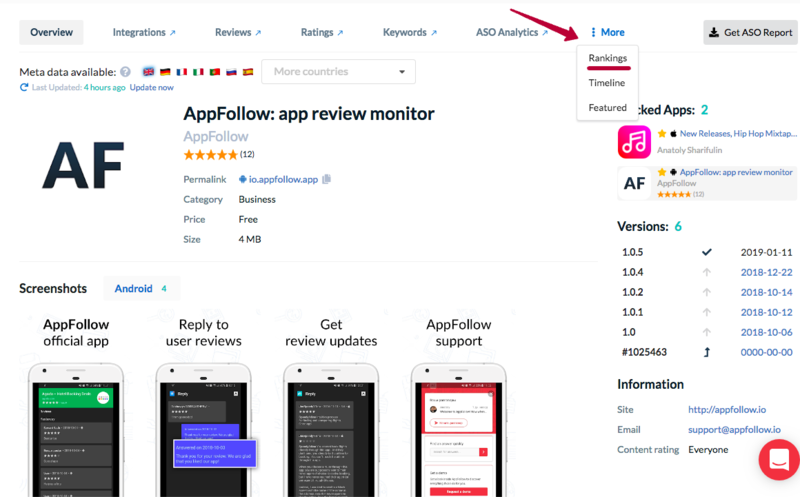 If you use Slack, it might be convenient to receive instant notifications about app rankings. Set up Slack integration to stay tuned. It's possible to build customised reports and dashboards for Rankings. Create a signature to request it. Currently Rankings is available only for TOP 200 apps in App Store and TOP 120 apps in Google Play. Windows Store apps are not supported yet. The information about reviews is stored by default for 90 days. If you'd like to keep it longer, please contact our support team.